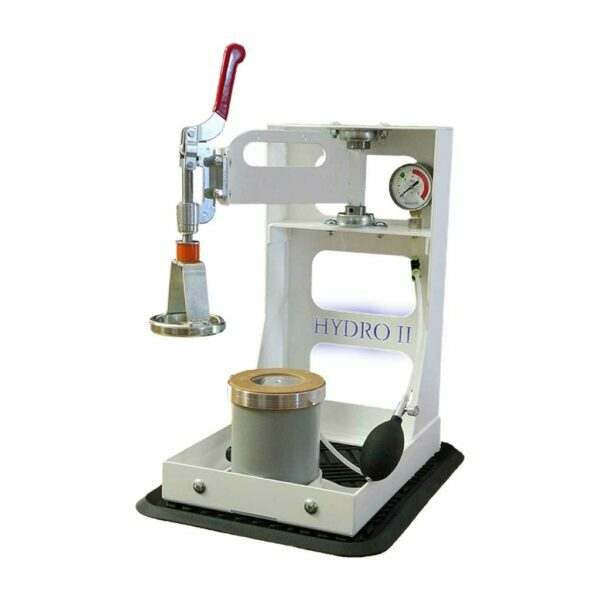 Hydro II Portable Moisture Barrier Tester - Arizona PPE Recon, Inc. The Hydro II is a patented “Moisture Barrier Tester” that meets the NFPA 1851 Standard….It requires no electricity and is portable, so it can be transported from station to station…. If you are cleaning your Turnouts, you should be testing the moisture barrier as well. Lets you comply with NFPA required hydrostatic pressure testing of a garment in minutes—at the station or in the field—with simple hand-pump operation. No electricity required. Easier, neater, faster, and much more effective than the messy, less-comprehensive “puddle test”. Effectively reveals the pinpoint leaks which can cause extreme steam burn injuries…yet may escape visual inspection or a puddle test. Automatically adjusts for fabric thickness or number of layers…to test a moisture barrier, a seam, or a complete section of the garment. A moisture barrier leak can cause injury…Will you find them before it’s too late? We pride ourselves in the premium, USA-made quality of all the products we distribute. From the top quality raw materials to our tried and tested packaging, we aim to deliver the best possible cleaners, degreasers, and equipment to help you get your dirty stuff clean. If you are not 100% satisfied with your purchase, we will happily refund your purchase upon return.